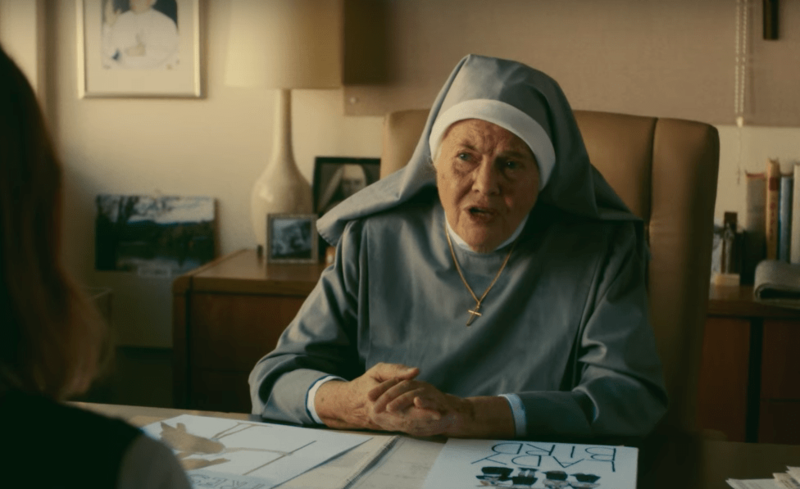 As I declare my gratitude for my favorite films of 2018, I’m thinking of Sister Sarah Joan. 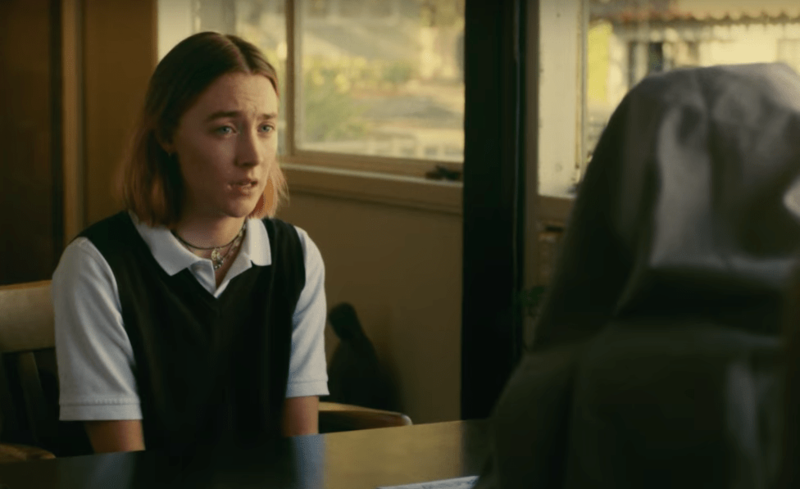 Think back to 2017, to that endearing coming-of-age movie called Lady Bird. Think back to that short, sweet scene: Eager to escape the hometown she hates, Christine, a mercurial young high-school senior, is summoned to the principal’s office where Sister Sarah Joan (played by the inimitable Lois Smith) startles her by praising her college essay about Sacramento. “You clearly love Sacramento,” says the nun. In time, we will see Christine’s exasperation with Sacramento soften. More importantly, we will see her rage against her meddling mother melt away as she comes to appreciate how love has been manifested not as cheerleading or even as tenderness, but as attention. Her friendships, too — the substantial and the shallow — will be exposed for what they are, in time, as she comes to consider a quality of attention. Lois Smith in Lady Bird. The tiny puff of an airborne seed can catch, settle, drop anchor, grow roots, and then transform a backyard or a field. Likewise, a good line from a poem, a song, or an image can alight on our minds, catch us unaware, and begin a transforming work. It can alter how we see the world. It can revise our vocabularies. And when our language changes, our thinking changes. I call the Looking Closer Specialists. Do you know any of them? Read their names. After all of the reviews and the list-making, I have no doubt now which scene in all the movies of 2017 has most influenced my thinking and my conversations in 2018. After hearing Sister Sarah Joan’s insight — thank you, Greta Gerwig — I’ve come to notice how the details that students give attention in their writing shows me something about what they love. I’ve come to see how their insufficient attention to other aspects of their work reveals a lack of love where love is needed. I’ve come to understand my own strengths and weaknesses better by reviewing the subjects of my attention during the day, as well as the duration and quality of that attention. What does this movie love? A movie with a rotten screenplay can still earn my respect and even my enthusiasm if I sense love in some other aspect: cinematography, editing, costumes, special effects. A film with phenomenal, award-worthy acting can turn me off if I sense that the director has more contempt for his characters than love for them. Some movies are promoted as truthful visions of human depravity — and that can be meaningful if they increase our appreciation for goodness by paining us with hard truth. But if I feel that the movie revels in the darkness of its subject, showing more of an appetite for depictions of suffering than love for those who suffer, then I’m out. Disordered loves do harm to the bodies and spirits of those who indulge them. I’ve seen movies — and a lot of prime-time TV shows, frankly—that loudly condemn criminal activity, but that simultaneously lavish ‘loving’ attention on the carnage of crime scenes, vivid with shock-value particularity. They glorify the gore over the hard work of justice and redemption, revealing the artists’ disingenuousness. I enjoyed Mary Poppins Returns for its love of color and childlike imagination. But I didn’t find enough love for imaginative storytelling there; it felt like expensive nostalgia. It was fun, but it doesn’t make my list of 2018 favorites. In my recent film courses, I have challenged students to ask Sister Sarah Joan’s question of every movie they watch. This can lead to other provocative questions, this one most important of all: What, then, is the movie asking us to love? The ensuing discussions have been revealing. After we watched Babette’s Feast, we agreed that director Gabriel Axel’s camera loves the faces of his actors and celebrates them with patient, observant, up-close attention. And so we realized that this sullen and contentious community that gives the film’s hero a challenge ends up beloved both to her and to us, all by the attention given to specificity in scowls, silences, consternation, smiles, and, eventually, radiance. 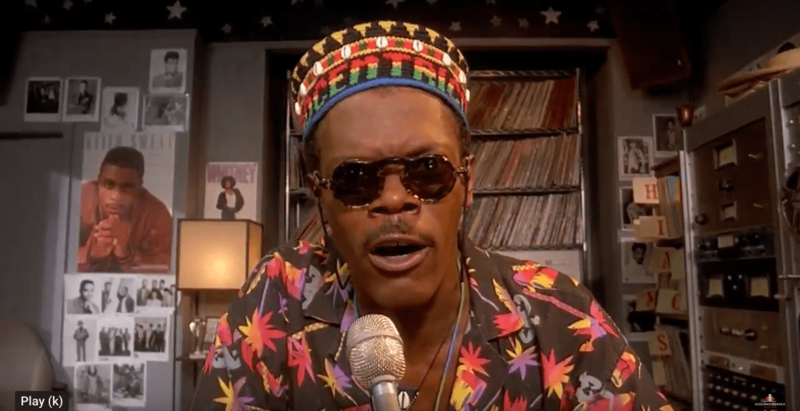 We agreed that Do the Right Thing loves the rhythms, colors, flavors, and smells of Brooklyn, and that Spike Lee crafted his movie as a celebration of differences and distinctions in a multi-ethnic community. Most of all, Lee served up a celebration of blackness, giving attention—that is to say, love—to black bodies, voices, expressions, personalities, attitudes, aggravations, angers, and creativity. Do the Right Thing, for example, loves its colors, its characters, its compositions, its language. We agreed that The New World and The Tree of Life are testimonies of the artists’ love for the suggestive power of nature. By training us in attention, Terrence Malick and his cinematographers are teaching us to learn and to love the created world’s capacity for speech. Looking closely at the science-fiction thriller Prospect, a 2018 film by Zeek Earl and Chris Caldwell that appears on my 2018 Honorable Mentions list, we can see how Malick’s love for the natural world influenced these young filmmakers into cultivating one of the most immersive alien-world environments that the genre has seen. You can learn to recognize it: that rare occasion when an artist, in a fit of inspiration, is caught up in a subject, their attention so fully attuned that they have to stretch themselves to capture in their work the enormity and profundity of a revelation. If you want to reflect light powerfully, you must draw near to it and turn — so that your attention is given more to your subject than your audience. We prefer the sense that the artist is inspired… to the sense that the artist is insisting we be inspired. Filmmakers who concern themselves too much with their viewers end up seeming like attention-seekers, crowd-pleasers. And what they give us feels forced, feeble, even frivolous. A filmmaker can drone on self-importantly in interviews about the message of his movie, the ideas that inspired it, or the motivation to make it, but if the work doesn’t seem compelled by a deep love for the subject, it’s going to fall flat. Alfonso Cuarón’s Roma is an expression of deep love for its protagonist. She clearly reminds the director of the housekeeper in the home where he grew up. I admire much about this movie, but I couldn’t shake the sense that this opportunity for an intimate portrait, one shaped by genuine gratitude, was disrupted by the artist’s eagerness to amaze us with the technical extravagance of every sequence. Good movie — but I wish I could have been caught up in Cuarón’s vision. And this brings me to this year’s publication of my ten favorite films of 2018. I’ve been wrestling with this year’s movies, trying to organize my favorites into the good, the great, and the transcendent. And, as usual, I’ve concluded that there are no absolutes about which films are “the best” and which fall short. Yes, we can make substantial observations about the quality of certain aspects in each film. But we must acknowledge that our experiences with art are powerfully influenced by our individual histories, beliefs, fears, passions, and questions. I’ve found the most rewarding approach to expressing my gratitude in the concept of Sister Sarah Joan’s question. My love for certain 2018 films — those on my list of 29 Honorable Mentions and here on my Top Ten list — is inspired by the love I sense within them: the affection for details, the care taken in making something beautiful about something inspirational, upsetting, or enigmatic. The love I sensed on the screen and in the sound of these films made me glad to fall in love as well. making choices that cause a family crisis. Richard (Paul Giamatti, as good as he’s ever been) and Rachel (Kathryn Hahn, a revelation) are completely convincing as a married couple who miss the glory days of their work in the theatre; as middle-aged dreamers who long to be parents; as human beings who struggle to support one another when they can barely stand up on their own. As they struggle to sustain any hope through wave after wave of disappointment and struggle, they’re endearing. Funny. Vulnerable. Fiery. Intimate. They have moments of tenderness in private, and they clash in public. And then there’s Sadie (Kayli Carter), the undergraduate eager to apply herself to a meaningful purpose. The film could have treated Sadie as a sort of Mary-Poppins wish-fulfillment figure, but she, too, is remarkably complicated and empathetic. Movies that dinner-table disasters are a dime a dozen, but these scenes of family crisis ring true. And yet, it never feels cynical or bitter like the family dramas of Alexander Payne. In all of their glory and calamity, their tragedy and comedy, their rivalries and loyalties, this family makes me trust the filmmaker who wrote them into being. Does it make you believe? I believed in Richard and Rachel. I’m still believing in them. Hahn and Giamatti are so good that I might find myself, going forward, occasionally thinking of them as a real-world couple I know rather than characters I saw in a movie. Nothing they do comes across as emotional acting; nothing feels like an Oscar moment. These performances are grounded in enough context and character to be convincing. What will you remember most when you think back on this movie? I’ll remember how this movie tied me up in knots as I watched it. The last minute of the movie is almost unbearably suspenseful. I’m sure it was the timing—but watching this film in 2018, on the night of the primaries, I found it especially affecting. Richard and Rachel’s relentless pursuit of a dream — constantly frustrated by insensitivities, failures, disappointments, and misunderstandings among loved ones — was often excruciating to watch. I think that, in my subconscious, their increasingly fierce surges of yearning for a child fused with my own sense of longing — that desperate grasping at failing sparks of hope for a nation that believes in liberty and justice for all. My heart feels like Paul Giamatti looks in this movie — like someone beaten down by betrayals and disappointments, but somehow refusing to despair. Are you likely to watch it again? Yes, and I’ll go back to revisit The Savages, a movie I greatly admired when it was first released. I suspect, based on how much I loved Private Life, that I will like it even more. Tamara Jenkins is an excellent director and we need more from her than one movie each decade. and a harder, humbler path. I reviewed The Rider when I caught up with it in June. Here’s what I wrote at the time. from Japan are called into question by scientists and student protestors. Here’s my original review of the film, posted way back in March. It loves the relationships between dogs and masters—a relationship that, at its best, is not a hierarchy, but consensual partnership of service, humility, and mutual delight. exquisitely crafting distinct characters among humans and dogs. It loves Japanese cinema, particularly Kurosawa, but also the possibilities in its unusual genre of dystopic tales about animals that end up speaking of human nature in a contemporary context. Wes Anderson has testified about his love for Watership Down and The Plague Dogs before. You can sense elements of both at work here, particularly the latter. Symmetry and variation in the creative composition of images. The power of carefully and deliberately paced dialogue. This film’s conversations develop a kind of cumulative power that comes more from timing and restraint than from volume or expression. particularly freedom of the press, freedom of information, and the freedom to protest. Somewhat. The film takes on too many characters and storylines for any one of them to inspire my emotional investment. One comes close: The cynicism of a dog named Chief who is reluctant to help out his Trash Island pack as they help young Atari search for his lost dog Spots. Will his hardened heart soften so that he will care? I’ve seen the film twice, and it hasn’t opened up the way other Anderson films have for me with repeated visits. Still, an Anderson film is still a celebration of cinema worth revisiting. The most affecting sequence, in which the boy Atari tries to bring Chief into obedience. It’s about a boy and a dog finding a begrudging respect. I’ll also remember the arguments about disrespectful Japanese stereotypes that simmered just below the surface of positive reviews. It was led by Justin Chang, for whom I have immense respect. I have mixed feelings about this debate; in some ways, this film like the Coen Brothers’ The Ballad of Buster Scruggs, cannot avoid stereotypes and conventions because it is imitating an era and genre of filmmaking, and if it sought to boldly revise them it would end up being about something altogether different. However, that doesn’t mean artists shouldn’t be ruthlessly conscientious about such matters. Definitely, to appreciate excellence in animation. Also… dogs! I’ve already picked up a blu-ray for the home library. until one of their most generous acts threatens to expose them. The patient revelation of family secrets folded within a mysterious, near-silent contract. First, we’re drawn in close to marvel at the fascinating origami sculpture that is the movie’s quirky family of characters. Living in close quarters at the corner of Poor & Destitute, they are funny, mysterious, unpredictable, and dangerous in their generosity. They are the mystery at the movie’s center.Then, the origami begins to unfold, revealing one big secret after another — some of them lovely, some of them deeply disturbing — so that we marvel… and eventually care to the point of heartbreak. We want them to be together forever. But we know that nothing built on a foundation of secrets like these is likely to last. The ‘family’ at its center. I love these characters, and I feel genuine gratitude to the actors for making them so three-dimensionally human. Scene by scene, they bring complexity, humor, pain, creativity, and surprise, saving this storyline from what could easily have become a lesson in crowd-pleasing sentimentality. It’s a relief that Kore-eda resists the temptation to indulge in the tear-jerking potential of his narrative, because it would be an injustice to these actors to have their efforts dissolve in the lukewarm broth of a conventional conclusion or Christmas-miracle simplicity.While Kore-eda is more active with his camera than Ozu, he is still patient and observant enough that his actors actually get to act, making characters that could have been simple develop into complex, intelligent, emotional individuals who intrigue us with their secrets and changes. Viewers will differ over which character is most interesting, which cast member most impressive. Me, I was most moved by Sakura Ando as the mother figure of this makeshift family. The poor. While Kore-eda does not let his characters off the hook for criminal endeavors, he understands that there are more important things to consider than the Rights and Wrongs of the law. No human system of law and order can protect everyone, and any system will end up obstructing certain kinds of justice. In this case, our small cast of characters break laws in order to rescue each other from greater crimes that the law is not managing. Most people aren’t comfortable with these gray areas of compromise. Kore-eda values justice, but he loves mercy. Yes. I completely believed in this family and their world, from their overcrowded ramshackle home to their ocean-shores getaway. The only times I felt a bit of a strain on my suspension of disbelief came when Kore-eda’s child actors were portrayed with maximum cuteness to break our hearts open. While Shoplifters doesn’t beat up my heart as severely as Nobody Knows did (which I’m tempted to call a masterpiece), it is much more enthrallingly complicated and interesting, and it never drags the way I felt Still Walking did. Maybe I need to prioritize seeing more of the Kore-eda films I’ve missed. I will never look at a melting snowman again without feeling the ache of a wound inflicted by this film. As a filmmaker, Kore-eda works more confidently in prose than in poetry, but when his camera goes for something suggestive, it works. Also, this film has one of the most beautiful, specific, and essential-to-character scenes of sexual intimacy I’ve ever witnessed. I’d be happy to — especially if I could introduce it to friends. I also suspect that this could serve as an excellent “gateway film” to a love of foreign film for students who have an aversion to subtitles. that come to life through the subtle tinkering of special effects artists. Note: This film arguably belongs on a list of 2017 films, but it did not get substantial distribution or attention in the U.S. until 2018. The poetic suggestiveness possible in the juxtaposition of images. The freedom of the imagination. The natural world—specifically, the landscapes of Iran. Snow. Crows and ravens. Cattle. More snow. Prey. Predators. Yes — in that it invites me to look closely, to ask questions in an unhurried manner, to meditate, to slow down for the rare pleasure of being surprised. A sense of being mesmerized. The luxury of entertaining possible connections and interpretations. The pleasure of experiencing Iran outside the context of breaking news, religious tensions, and political debate, to see that it is God’s country. A chance to remember that God is at play in vast realms beyond the scope of almost all cinema: in the world beyond human activity. In fact, when human activity does encroach upon these scenes, it seems as likely to be disruptive and damaging as fruitful. I’d have to find just the right circumstances: An undisturbed quiet. A big screen. An excellent sound system. And just enough light to allow note-taking… or spontaneous poetry. who is a quick study in power plays, deceit, and betrayal. Olivia Colman. Emma Stone. And Rachel Weisz. Three great actors working at the height of their powers. If there must be contests, Colman, as England’s Queen Anne, should be crowned the queen of 2018. But Weisz and Stone do some of the finest work of their careers here. If Stone hadn’t won an Oscar for La La Land, I’d expect her to have an easy road to a Best Supporting Actress win for her performance as Abigail: it’s the stronger performance. that can scratch, tear—or even loop, tighten, and ensnare. They’re also laugh-out-loud funny. but, even more than that, the irony of self-defeating quests for privilege: these power-hungry players are designing a living 18th-century hell for themselves as they ascend into isolation and infamy. Face paint and wigs (especially in men of the court). The seeming absurdity of courtly manners. The distortions that result when sexuality’s many and varied impulses are bound up in oppressive and exploitative cultural constraints. but that ultimately embarrass them. Definitely. It’s clear that this is a fantasyland, history through a distorted lens—but Lanthimos’s exaggerations serve to expose tragic truths about the corrupting and ultimately dehumanizing nature of power. At the beginning of the movie, I was hoping to see the nation saved from such misguided control freaks. By the end of the movie, Lanthimos had found ways to make me pity the power-mad themselves and wonder how they could be rescued. Camels, here are your needles — and good luck! A certain delight in snarky sparring matches like nothing I’ve experienced since Dangerous Liaisons. Hushed late-night sneaking in candlelit corridors. Emma Stone’s punch-throwing seduction of a man she sees as essential to her plot. And one extraordinary feat of editing early in the film when two sequences are juxtaposed, back and forth, for a long time. The rabbits, all seventeen of them—which really are the key to understanding the queen’s madness. Definitely, although in select company. The frankness of its depiction of sexual manipulation earns the R-rating and would turn away many who prefer their historical epics to be sanitized, simplified, and sentimental. unlike anything money can buy. If I could take the whole world to see one movie from 2018, I would take them to see Won’t You Be My Neighbor? — not as an exhibition of art at its finest, but as an urgent and affecting reminder of what the world needs so badly. Do your heart some good. Do your family and community some good. Sit down and watch this movie together. Talk it over. Then, go and live likewise. I wrote my reflections on this when it opened in July. I couldn’t just review it — I had to write some personal reflections on all that it made me think and feel. Here it is. It’s a rather conventional documentary in form, but it’s extraordinary in its function. It captivates me with its subject, its surprises, its compelling interviews, and its conclusions. I will remember the surprise of discovering the theme and subject matter of that very first episode of Mister Rogers’ Neighborhood. That’s when I realized just how (for lack of a better phrase) timely and relevant this movie was going to be. And that was just the beginning. I will remember how it dismantled me emotionally, reminding me of what human beings can be and sharpening my longing to see more of Rogers’ spirit of grace and generosity and empathy in the world. I will remember how so many in the theater around me were weeping for similar reasons, even those who had never watched Rogers’ television series. struggles to understand what she needs from him. I reviewed this film here at Looking Closer back in August. And, for the record, my original headline for the review was “It’s a Beautiful Day in Eighth Grader-hood.” You’re welcome. Here it is. to change each one of his worlds. I reviewed this film for Good Letters, the Image blog way back in February of this year. Check out that review here. in how to wear the mask. This is innovative stuff. It doesn’t remind me of anything I’ve seen on a big screen before. I didn’t want to blink, from beginning to end, because these lines and colors and edits and backgrounds were so wildly, kaleidoscopically surprising. Visually, this is a two-hour celebration of the paper, the printing, the format, the variety of artists’ renditions of its heroes, the interplay of text and image. I’ve never seen a more joyous cinematic celebration of printed matter. The marriage of innovative imagery with innovative soundtracking. The music throughout this movie coheres beautifully even though it represents a collage of genres. Similarly, the visual style keeps changing and surprising us without ever feeling schizophrenic or inconsistent. I can’t point to any particular sequence as a favorite because each one is so consistently surprising and interesting. This deserves to be in any conversation about the best movies that capture what New York looks, sounds, and smells like. Just as Raiders of the Lost Ark was the ideal celebration of a larger-than-life character, so Spider-Verse leaves all previous Spider-man movies — yes, even Spider-Man 2 — in its dust. Miles Morales is more interesting than Peter Parker; his origin story is surprisingly unconventional; his personality is strong and his character arc clear; his family is interesting and they matter; and Miles remains, by far, the most interesting character in the movie without being upstaged by the villain. so that those who want to be that hero can take a swing at it. Superheroes make terrible idols, but if they become invitations to do our best for the greater good, bring ‘em on. and, thank goodness, the kind of justice that doesn’t require killing anyone. No, Spider-Man doesn’t need a girlfriend (even if he wants one). No, he doesn’t need dead parents; he can have them both. No, he doesn’t need to destroy his enemy, or even to stand by while his enemy is destroyed. Not only that, it makes me want to write, to draw, to participate in this kind of boundless and joyous creativity. I’m so weary of comic-book superhero movies; I didn’t think they could surprise me anymore. I believed in Miles Morales from this movie’s opening moments when we find him doing homework in his memorable bedroom to the closing moments when he has fully inhabited the spider-suit and closed the story-arc circle with his father. And even though this movie is about several alternate realities colliding, I bought the premise. And I loved how creatively these wildly disparate Spider-people interacted. I enjoyed this animated world so much that I couldn’t wait to go back to it, convinced that I would make a lot of new discoveries. And I did. I haven’t felt this particular giddiness, this sense of seeing something that renews my sense of what is possible in animation, since The Secret of Kells. Nor have I felt, for many years, like I was watching a movie that lived up to the ideal of what I wanted movies to be when I was a kid. After seeing The Muppet Movie, Star Wars, and Raiders of the Lost Ark when I was a pre-teen, I longed to see something that would be that excitingly captivating again. Since then, the kind of art that enchants me has changed because I’ve changed; I don’t need action or non-stop jokes or brain-bedazzling special-effects to be engrossed in a movie. But there is a particular childlike joy at the movies I haven’t felt for a long time, and this movie unexpectedly brought it back to me. It made me as happy as my eight-year-old self could ever have been, and achieved that while giving my 48-year-old self a great deal to think about and admire. I’m grateful. That dawning sense, over the first 20 minutes, that this was going to wildly surpass — was already exceeding — my expectations. Also: The moment I recognized Noir Spider-Man. Again and again and again — but I will always wish I was engulfed in an IMAX-level experience. Of all the top 10 lists I’ve read, yours is my favorite – especially your introduction and question about “What does the film love?” I plan to ask that of my own kids. Think it’s time to watch Won’t You Be My Neighbor for the first time.